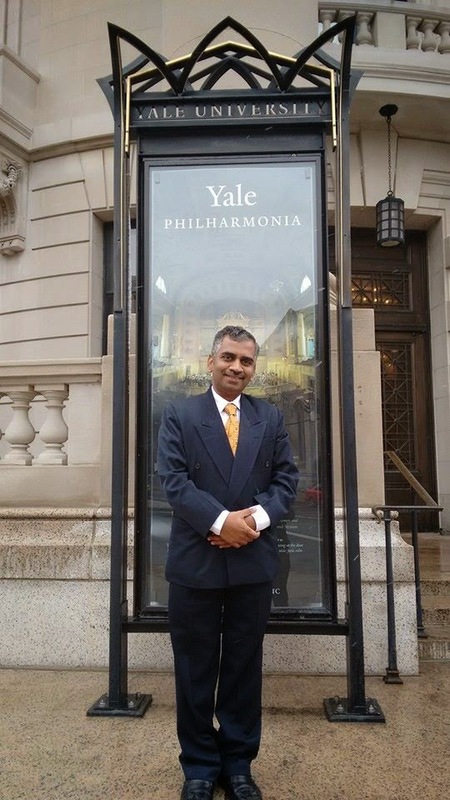 Dr. Narayan Iyer, CEO, IDF speaking at the Global Health and Innovations Conference 2015 held at Yale University, New Haven on 29-03-2015. 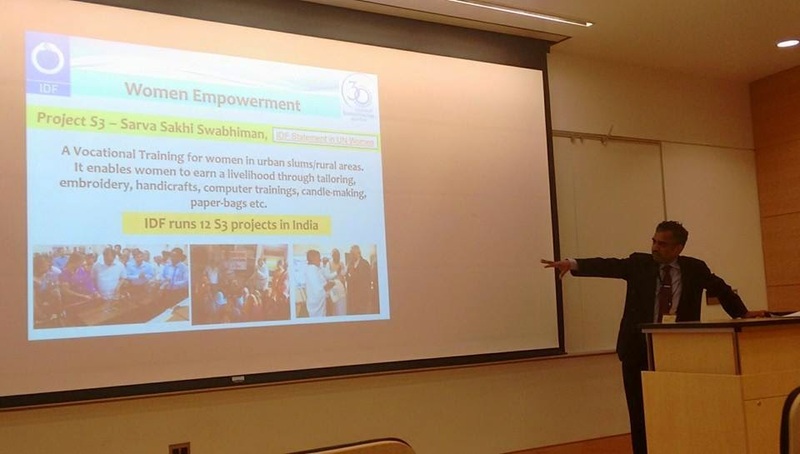 Dr. Iyer spoke on Goodness Unlimited @ Indian Development Foundation. 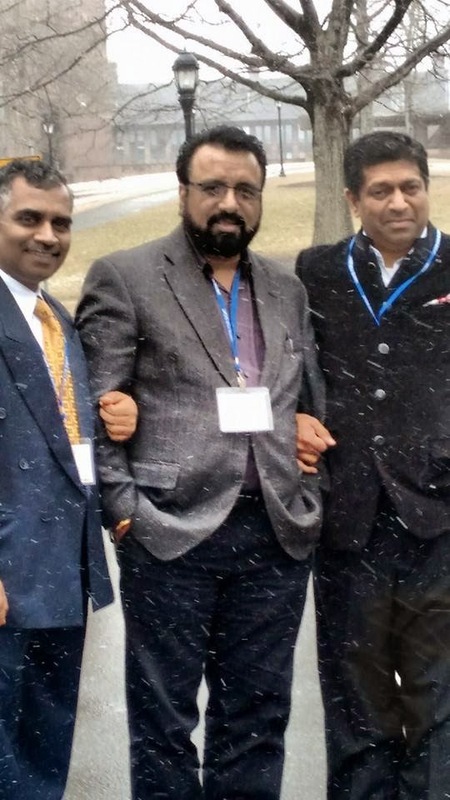 Team IDF USA consisting Mr. Cecil Joseph, Mr. Abraham Thomas and Dr. Annie Thomas also accompanied Dr. Narayan Iyer to interact and network with the Global Innovators. 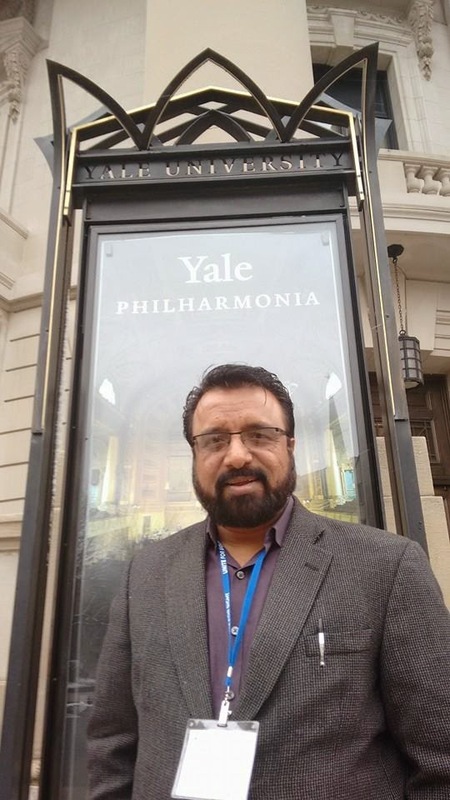 Goodness Unlimited session was well received at the Global Health and Innovations Conference held at Yale University on 28-29th March 2015. GHIC 2015 was organized by Unite for Sight. TB Day Rally in Sagayamadha Hospital, Pullambadi,Trichy. Director Rev.Fr.Thangasamy started the rally.Child Jesus Mat School Students and staff also participated. After finished rally Dr.Karthikeyan addressed people about TB causes and treatment. TB Awareness at Chennai Central Railway Station. Mr. S. Govindasamy, IRTS, Station Manager, Chennai Central was the Chief Guest and inaugurated the TB awareness exhibition. 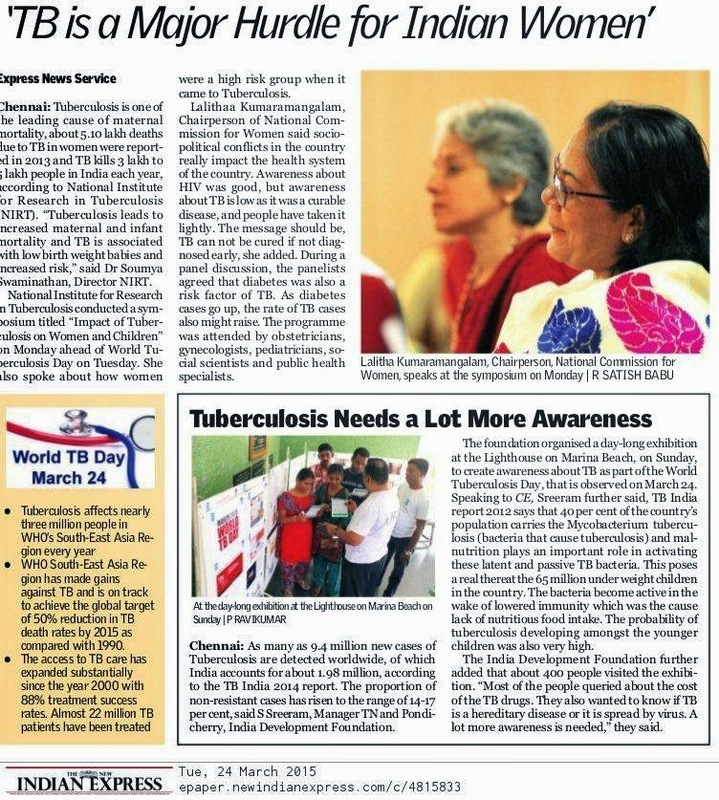 Mr. Govindasamy said " People should know about TB and such kind of awareness campaigns bring more awareness among general public and railways always support such awareness programmes". He thanked IDF and GREMALTES for selecting the Chennai central for such awareness campaigns. Scouts and Guides from KV 2, Madambakkam and Students from Sri Shanthi Anand Vidyalaya distributed pamphlets and supported the event. 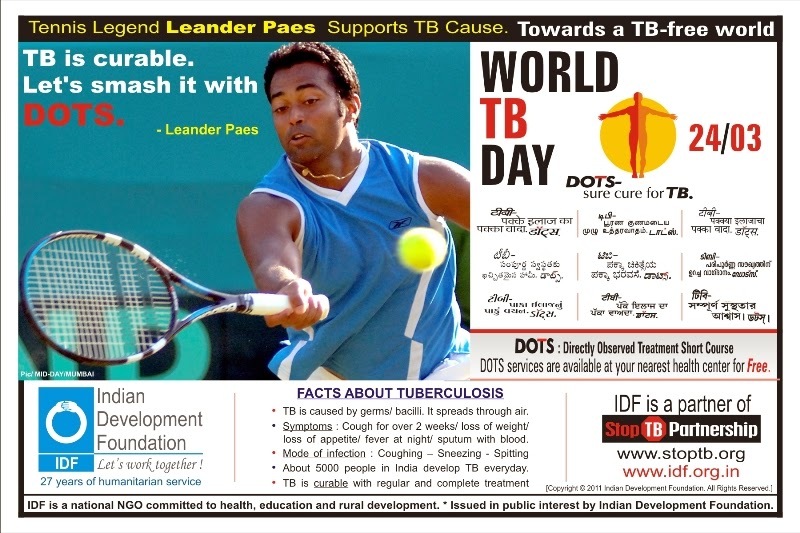 Media Release Mangaluru: Observing the World TB Day, Centre for Integrated Learning, city based organization in association with Indian Development Foundation and Mangaluru City Corporation launched an awareness drive in the on Tuesday. 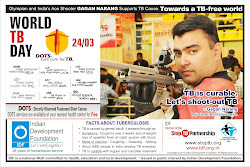 To mark the occasion, Mayor of Mangaluru City Corporation, Jasinta Vijaya Alfred released the awareness posters brought out by Mumbai based IDF which features Snooker World Champion Pankaj Advani endorsing for the cause of TB-Free World. 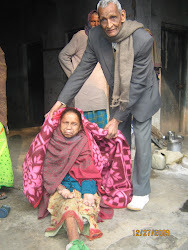 The theme of the World TB Day of the year 2015 is “Reach, Treat, Cure Everyone”. Accordingly, the student volunteers of CIL will be reaching out to schools and colleges in the city to spread the message across the spectrum of population. 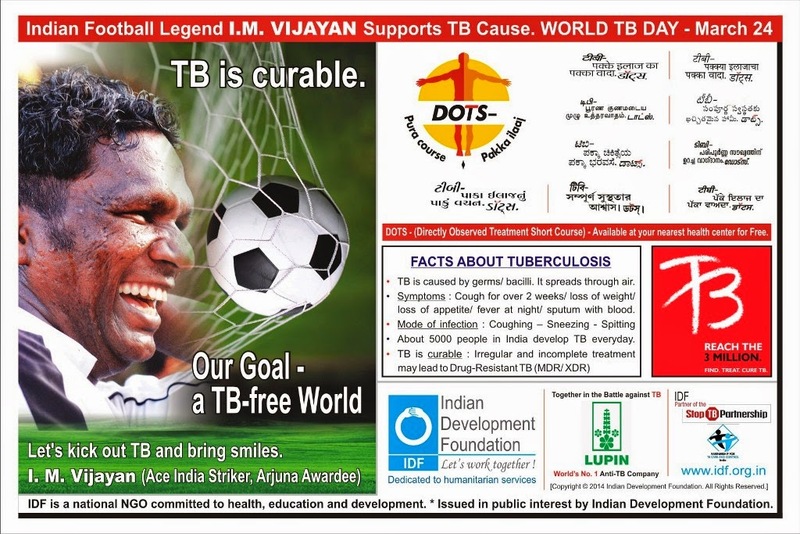 The poster illustrates the cause and cure for TB and urges the citizens to educate themselves and others on DOTS (Directly Observed Treatment Short Course) which can cure TB which takes a toll of over 3 million people every year. The poster was symbolically handed over to the mayor by tiny tot Nisha and the Health Department of the Corporation took the responsibility of creating further awareness among people. MCC Deputy Commissioner (Administration), Gokuldas Nayak, Former Mayor Shashidhar Hegde, Former Deputy Mayor Lancelot Pinto, Convener of Centre for Integrated Learning S Nandagopal, IDF Coordinator for Dakshina Kannada, Umesh Prasanna, MCC Health Officer Manjayya Shetty, corporators Asha D’Silva and Harinath among others were present on the occasion. On the occasion of World TB Day, 24th March 2015 , State TB Cell (STC), Telangana State honoured IDF team and appreciated the role of IDF in creating awareness on TB in educational institutions, corporates, and general public. Honourable MLA Dr. Raja Singh, Operations research committee Chairperson Dr. C E Prasad, Principal Osmania Medical College Dr. Ramani, Joint Director TB Telangana Dr. Srinivas Rao and WHO consultant Dr. Chakrapani gave the award to IDF team. 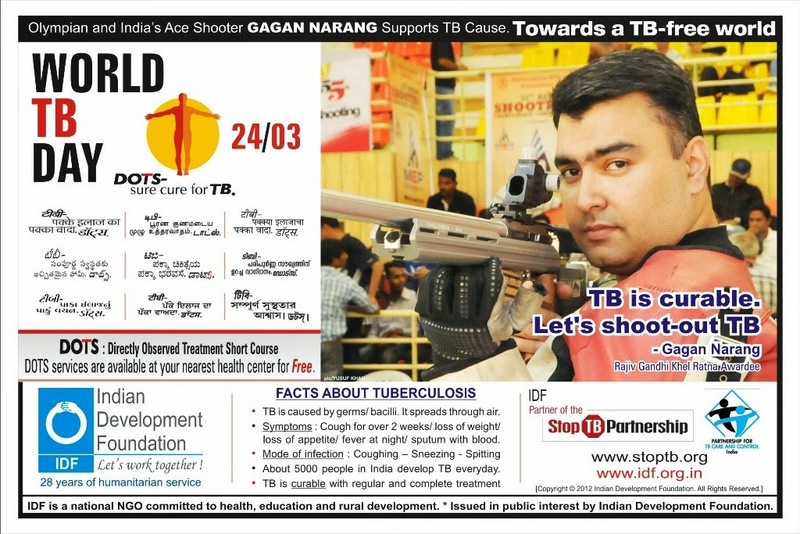 IDF ORGANIZED WORLD TB DAY AT COIMBATORE. 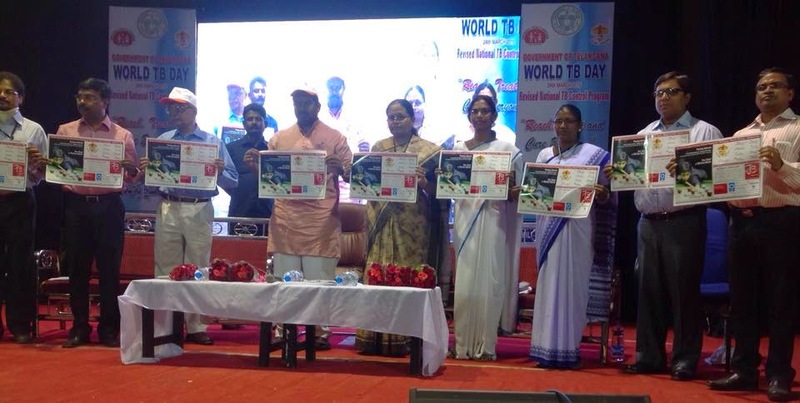 On the eve of World TB Day a rally was held at Coimbatore District, the District Collector Mrs. Archana Patnaick I.A.S., flagged off the rally from Collector’s office, the Deputy Collector also participated in the rally. The rally reached the Deputy Director of Health Services Office, Race Course, Coimbatore. College Students from Lesieux B.Ed., College, Nehru Institute of Technology, Kongunadu Nurshing College, Ramakrishna Arts and Science College, PSG Arts and Science College, schools students from G.K.D. Mat. Hr. Sec. 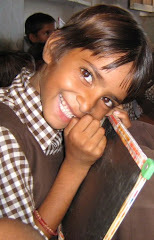 School, Air Force School, Amirtha Mat. Hr. Sec. School, participated in the rally. 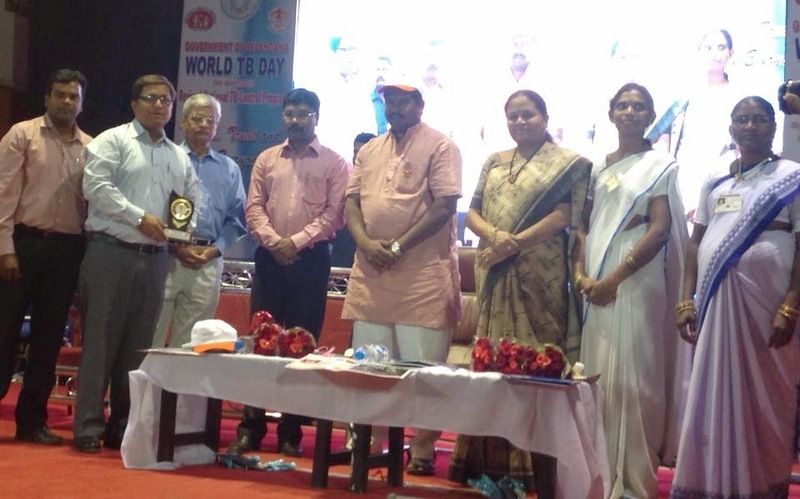 Later a World TB Day Celebrtion was held at the New, Seminar Auditorium, Coimbatore Medical College and Hospital. The programme started with the Tamil Thaai Vazthu, the Chief Guest Dr. A. Edwin Joe, MD. BL., Dean, Coimbatore Medical College & Hospital, lighted the lamp. Dr. S. Keerthivasan MD., HOD of Thoracic Medicine, Coimbatore Medical College & Hospital welcomed the gathering. Dr. Mohammed Ali MBBS, Resource Person, in HIV @ TB, Member of Anti TB Association, Coimbatore, Dr. M. Sakthivel, MBBS, DTCD, Deputy Director of Medical Service (TB) & DTO were also present. Prizes were distributed for the students who participated in the essay competition held in various schools; nearly 535 students participated in the competition, Selvi. S. Shubhakarini and Selvi. S. Sanjana Srilakshmi of G.K.D. Mat. Hr. Sec. School, Coimbatore, won the Ist and IInd Prize, Selvan. C. Navneet of Air Force School, Coimbatore won the IInd prize. Certificates were also given to the candidates who participated in the rally and seminar. Dr. Arun Chandran gave power point scientific information about TB for the students. Mr. Mano Ranjit Lad of Indian Development Foundation compared the programme and proposed the vote of thanks. IDF Admin. Officer from Chennai and Mr. Fredrick from Coimbatore were also present. TB Harega, Desh Jeetega...... 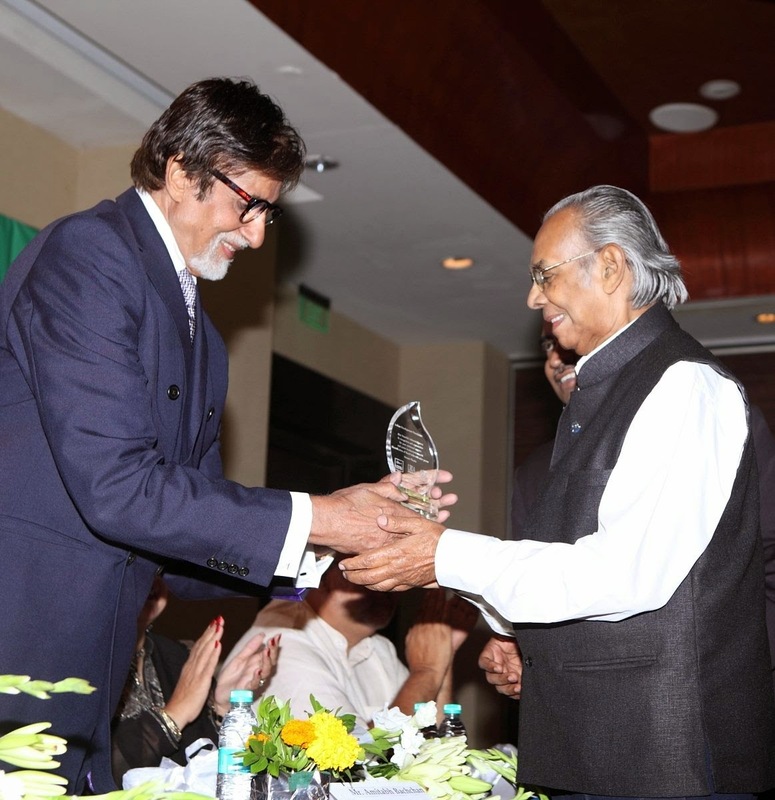 Tuberculosis today is completely curable but timely diagnosis is key - Amitabh Bachchan. Today is World TB Day - Let's together stop TB. Good health is the most important requirement for leading a fulfilling life. It is a prerequisite to attaining one's full potential, which translates into social and economic benefits for the entire community . India is a country where great disparities exist, and millions are deprived of access to critical amenities such as affordable healthcare. This leaves a large section of our population vulnerable to infectious diseases such as tuberculosis. World TB Day Awareness Rally at Marina Beach. 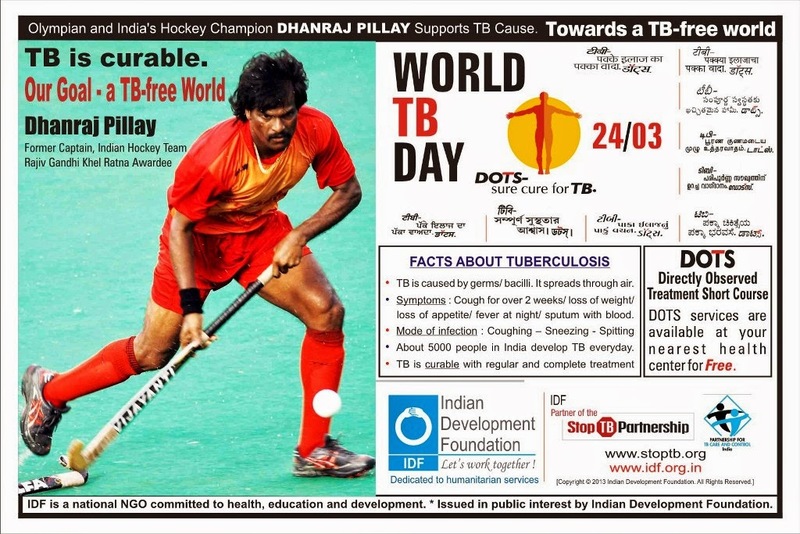 Indian Development Foundation in collaboration with Gremaltes Hospital and a large number of students for educational institutions organized a massive TB awareness rally at Marina Beach, Chennai on the eve of World TB Day 2015. Dr. Soumya Swaminathan, Director, National Tuberculosis Research Centre, Chennai, Chief Guest for the World TB Day Mass Awareness Rally at Marina Beach, Chennai, flagged off the rally and wished all the participants good luck as they march ahead in stopping TB. The event was co-ordinated by Mr. S. Sreeram, Manager, IDF, Mr. Satyamurthy, Development Executive, IDF and Mr. Navaneethakrishnan, Admn. Officer, IDF. IDF and GREMALTES Hospital jointly organised a TB awareness exhibition at the Lighthouse. On the occasion of the World TB Day 2015: Indian Development Foundation and GREMALTES Hospital jointly organised a TB awareness exhibition at the Lighthouse . Mr. Ramdoss, Director of the Lighthouse and light ships was the Chief Guest and inaugurated the exhibition. Speaking on the occasion he said " Such kind of awareness is required among the general public and the public get awareness of tuberculosis. He thanked the Indian Development Foundation and GREMALTES Hospital for choosing the lighthouse for organising the awareness exhibition." Mr. S.Sreeram, Manager of the Indian Development Foundation said " TB is completely curable with regular treatment of DOTS and the patients never skip the medicine. TB medicines are freely available in Government hospitals. Awareness is the key he added." Scouts and Guides from Kendriya Vidyalaya, Madambakkam and students from the Sri Shanthi Anand Vidyalaya were assisted and distributed TB awareness pamphlets to the visitors. 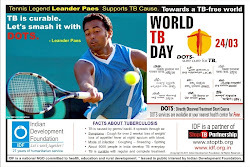 TB is curable, Let's strike-out TB. 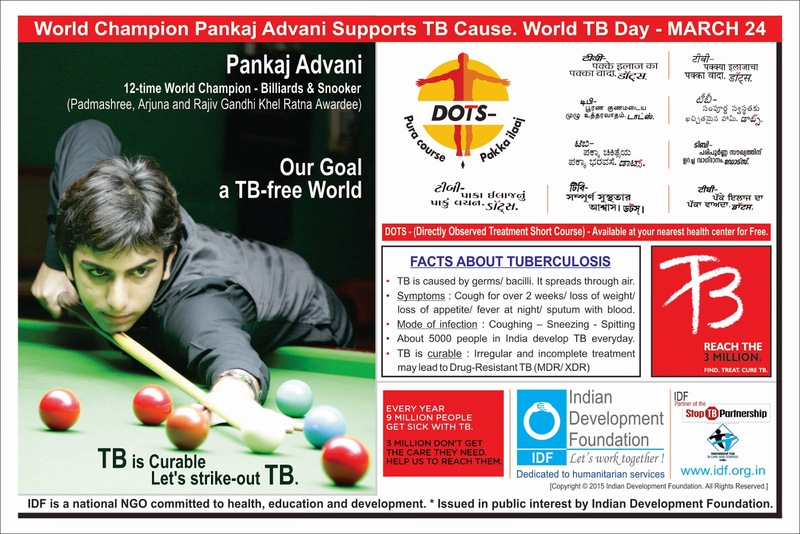 IDF thank Mr.Pankaj Advani for endorsing TB Awareness Message. The Launch of IDF CofE on 16th March 2015.